For patrolling we need a way to define patrolling route by marking points via the guard should walk. Interface is for the classes that use Waypoints (defined below) so that the Waypoint class does not need to know what classes are are using Waypoints. All classes that use Waypoints inherits WaypointInterface and implements SetTarget function. // Waypoints define routes that an agent can follow. // so we can notify what is the destination in the patrol route. For waypoint we need an GameObject with box collider set to trigger. 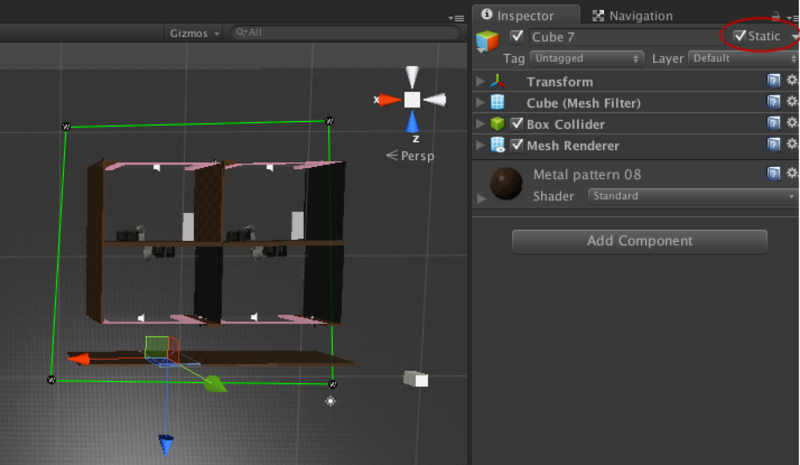 One easy way to create one is to create cube and remove its Renderer component. 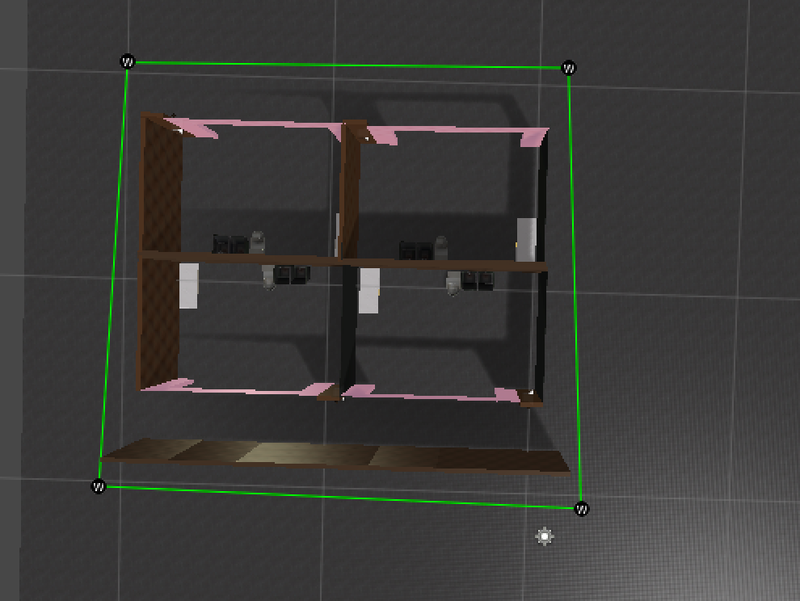 Rename the cube to Waypoint, attach Waypoint script to cube and set collider to trigger. 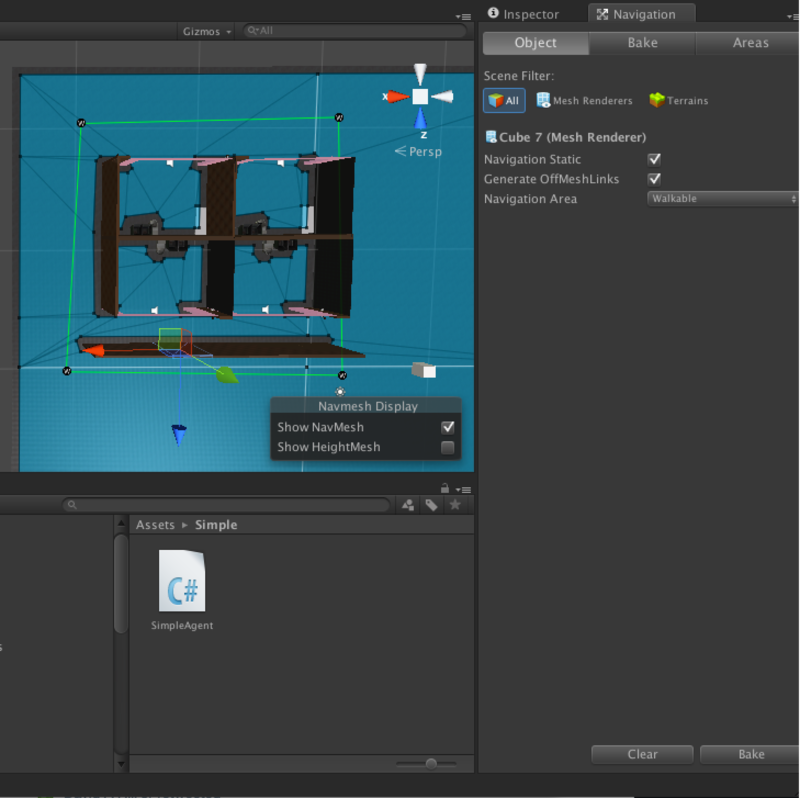 In addition, add tag Guard1 and set it to the object. 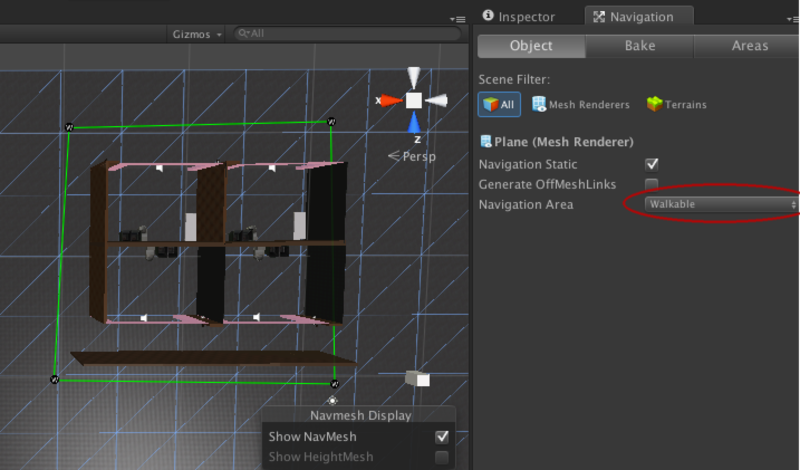 It is always good to create Prefab from the object so it is easy to add Waypoints to the scene. Next we need to build a level. That we need plain where the guard can walk, waypoints and some obstacles. Figure below gives an example of a level. Scene example, where waypoints have been set-up. Now we need the guard. I base it to the NavMeshAgent. Lets start with a simple version that can move and follow the route determined by the waypoints. // Waypoint reached. Setting the next destination. Setup is show in image below. RigidBody is needed to make collisions to work.NavMeshAgent handles movement and navigating in the scene. However, we need to set-up the scene for NavMeshAgent. First, we need to mark the plane as walkable. Marking the plain working as the ground as walkable. 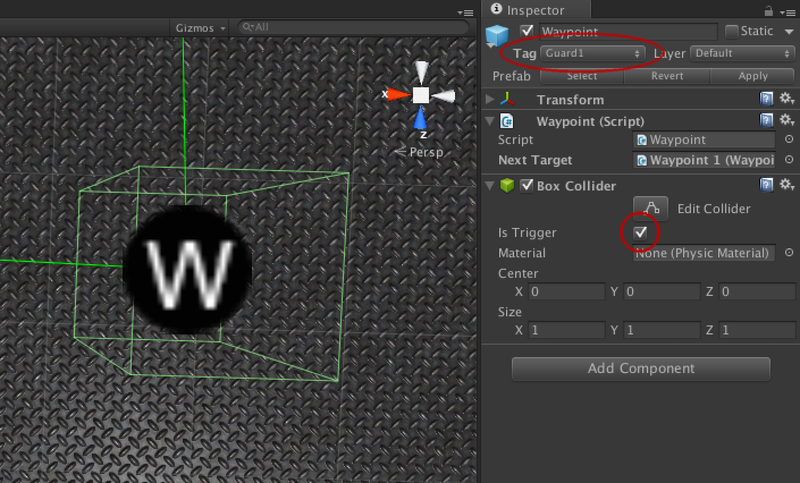 We also need to mark all static object in the scene as static (Navigation Static). You can show Navigation Tab from Window -> Navigation. Marking static objects as static. You can select multiple objects and mark them static by click static (all possible features are marked as static, but if you have transparent objects etc. and you want to bake lights/occlusion, you need to use pop-up to define correct set of static features for, e.g., the object having transparencies). Now it is time to bake navigation. Go to Navigation tab and click bake. Following image shows how the baked scene looks like when navigation tab is selected. Now we should have an agent that follows waypoint route. Following video shows the agent in action. You can test different waypoint placements to see how the NavMeshAgent and wayfinding works.